In 2016, 11.2 percent of the United States population, or roughly 36,301,304 Americans, moved. The consensus is, it takes 60 boxes to pack the average American household. Multiply 36.3 million by 60, and we have a really, really big number. The burden moving places on the environment is not small. Luckily, there are inexpensive, easy ways to maximize eco-friendly moving. For those who have the luxury of knowing several weeks, or months, in advance of a move, it’s a good idea to start de-cluttering the home as early as possible. Household items that probably will not be used in the new place have dozens of options for donation, recycling, or selling. This includes clothes and shoes that are outgrown, old kid toys, linens, and electronics that now only collect dust. Nearly every item can be either donated, recycled or sold. Goodwill and the Salvation Army are great places for donations. Another option for the Good Samaritan is to bring lightly used items to Wishing Well, a non-profit organization that provides services to the mentally ill and homeless in Denver. Call them ahead of time, 303-892-5594, to see what items are needed for donation! Staples will take care of recycling electronics, and a yard sale or Craigslist are quick outlets for selling anything of value. Getting rid of items no longer used also decreases wasted space in moving vans and trucks. Before we start talking boxes, look around the house and discover what you already have to transport items. Suitcases, laundry hampers, clean garbage cans and recycling bins, baskets, and bags will get moved anyway, so why not use them in place of boxes? Desks, dressers, night stands, etc. can also be used to transport any linens and clothing items they already hold. Just tape the drawers, and pack them in the truck! Heavy items, breakable items, and items that have a possibility of spilling will best transported if packed in a taped box, to ensure they remain intact during the move. There are two “green” options when it comes to packing boxes. The first, ask friends and family for empty cardboard boxes laying around the house, ask local stores if they have any extra boxes after restocking shelves, and save boxes received from appliances, packages, and any other items you’ve purchased. Craigslist, or Box Brothers located on South Broadway, are other options to stalk up on used boxes. Not only does this cut down on the cost of the move, but it is a great way to reuse cardboard! It is especially convenient to keep kitchenware boxes because, fragile ceramics and glasses can be repacked in the boxes and packaging materials they came in. The second option is to use storage bins. This completely eliminates the need for cardboard boxes and packing tape, which does a lot to minimize environmental harm. The perks of storage bins are bountiful! They can be used time and time again for multiple moves, they make organizing storage in the new home an easier and quicker process, they are easy to stack and they lock out moisture, and they are more sturdy to protect your items, although they will buckles if not fully packed. It is wise to tape the top to the bin once full, because the tops will pop off from time to time, but even this saves a lot of time that would normally be required to assemble boxes! 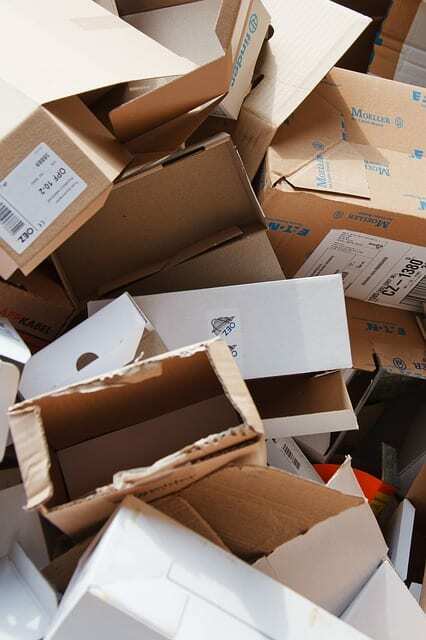 If using cardboard boxes, reuse or recycle them after the move. Nobody needs 60 empty boxes; however, others may be happy to take them in preparation for a move of their own. Storage bins are made for stacking one inside the other, so they are available when needed and don’t take up too much space when empty. Packing materials, like bubble wrap and packing peanuts, can be replaced for biodegradable materials, so unpacking does not leave behind excessive landfill garbage. The next time you have to pack up and make the transition into a new life, new neighborhood, and new home, think about the many ways you can cut your ecological footprint!